Space Shooter Ultimate for Android, developed by div, is a free arcade scroller where you shoot your way through an detailed galactic environment against waves of aliens, ships, and projectiles. 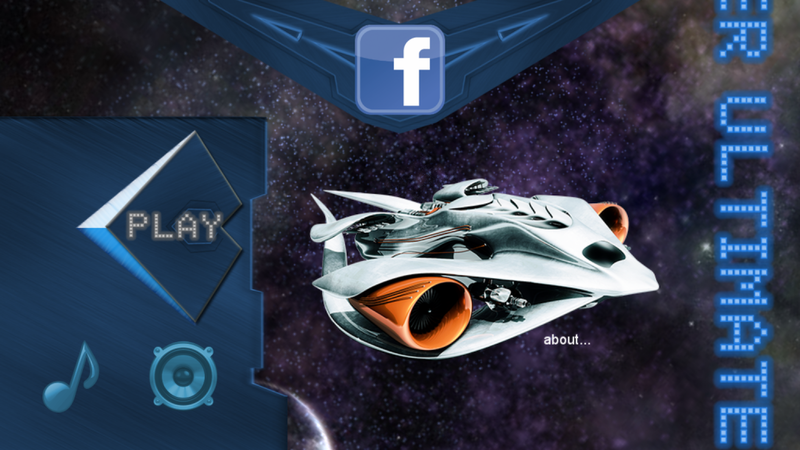 In this retro game, your spaceship must dodge comets by controlling the movement of your ship by tapping and dragging on the screen. 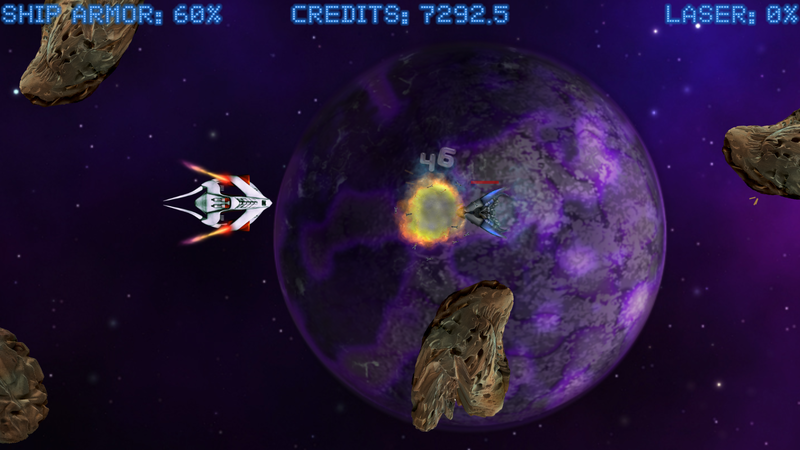 What I especially liked about Space Shooter Ultimate was that it was so easy just to pick up and play right away, with no complicated menu screens or customisation options which can often overwhelm a beginner. The physical buttons in Space Shooter Ultimate are big, and that helps in just how easy it is to pick up and play this game. 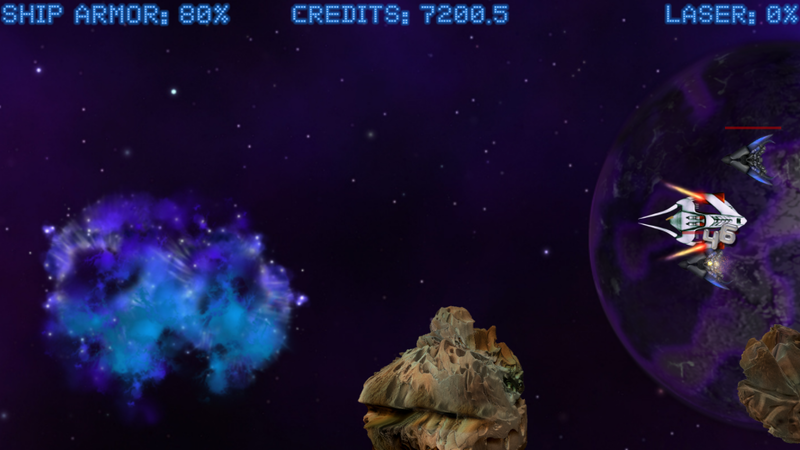 The detail of the ships and rocks is fantastic and with a boss at the end of each level, you’ll be guaranteed that Space Shooter Ultimate will provide you a challenge. 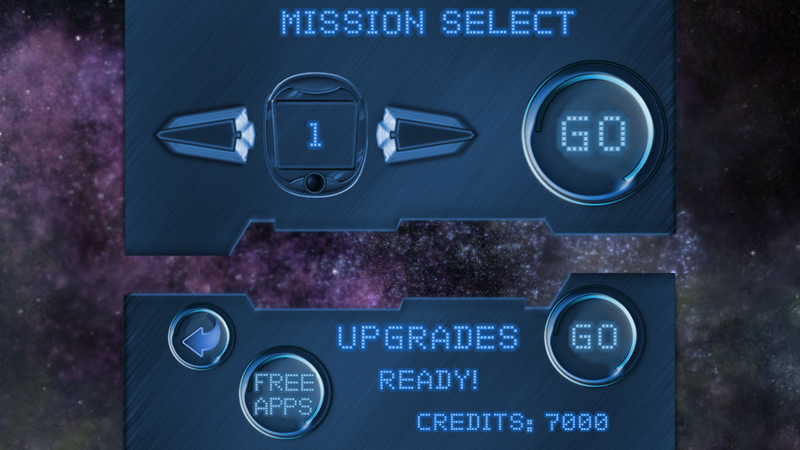 As you battle your way through alien ships and obstacles which try to destroy you, you’ll earn credits for your progress which can be used to upgrade your attack and defence weapons. It took me a while to get to grips with the fact that when you touch the screen the ship instantly travels to that spot, which means that to control the ship, you have to keep your finger pressed on the screen which can hide oncoming obstacles, if you don’t want the ship to move horizontally. This would most definitely be suited as using a devices accelerometer to control the ships movement. Otherwise, Space Shooter Ultimate is a great little game, with good graphics and endless challegning side-scrolling alien-shooting fun. You can pick it up for free on the Google Play Store right now, and why wouldn’t you?